It's easy to delete a bank from the Account Summary page, this user guide will show you how! Why would you want to delete a bank? 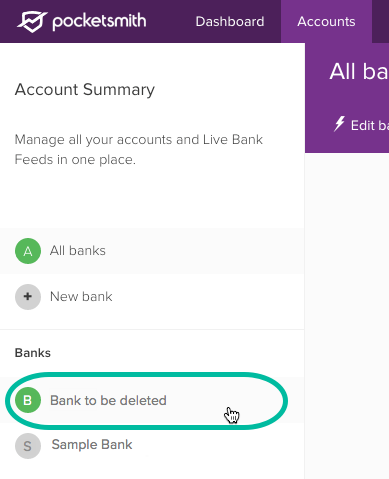 Deleting a bank will delete all of its accounts and bank feeds but if you'd like to keep the accounts, you can choose to move these accounts to another bank during the deletion process. 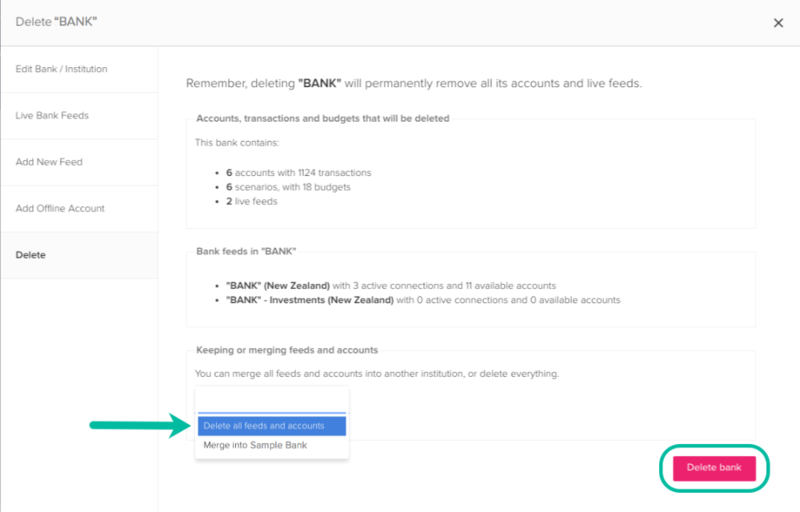 Deleting a bank from the Account Summary will permanently delete all of the accounts (including their transactions and budgets), as well as any bank feeds within the bank. It isn't possible to restore this data if deleted so make sure you no longer need this information before deleting a bank.